Joseph William Feliciano Smith was born on December 25, 1947 to Edgar William Smith, a U.S. serviceman, and Conchita Feliciano, a native of Angeles, Pampanga, where Clark Air Force base was then located. When he was eight years old, his parents separated, and his mother died from hepatitis. Smith and his younger brother Raymond went to live with their grandmother, Concordia Go, in Kamuning, Quezon City. Smith learned to play the drums by about age 9, and formed his first rock band at age 11, in 1959. 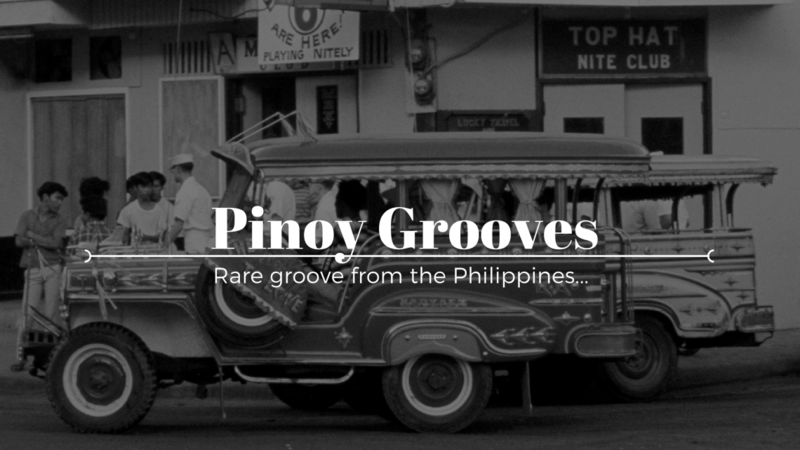 This group, composed of friends from the Kamuning district, was first called The Blue Jazzers, later The Villains, then The Surfers. As The Surfers, they got a 6-month gig in Vietnam in the early 1960s. A few years later, Smith became a rock sensation in Manila as the drummer and lead vocal of the Eddie Reyes and the Downbeats band, imitating Mick Jagger of the Rolling Stones, which earned him the title “Mick Jagger of the Philippines”. The Downbeats, managed by the Reyes clan of Pasig, owners of RCR Productions, appeared in contemporary TV specials and movies. Eddie Reyes and the Downbeats opened for the Beatles at their concert of July 4, 1966 at the Rizal Memorial Stadium with Orlando Muñoz in Manila, performing “Get Off Of My Cloud”, originally by The Rolling Stones. The Downbeats was the highest paid international band in Hong Kong during their time. Smith then played drums and sang for the Japanese rock trio, Speed, Glue & Shinki. An interest in amphetamines was the attribution for his “Speed” moniker in the name of the band. 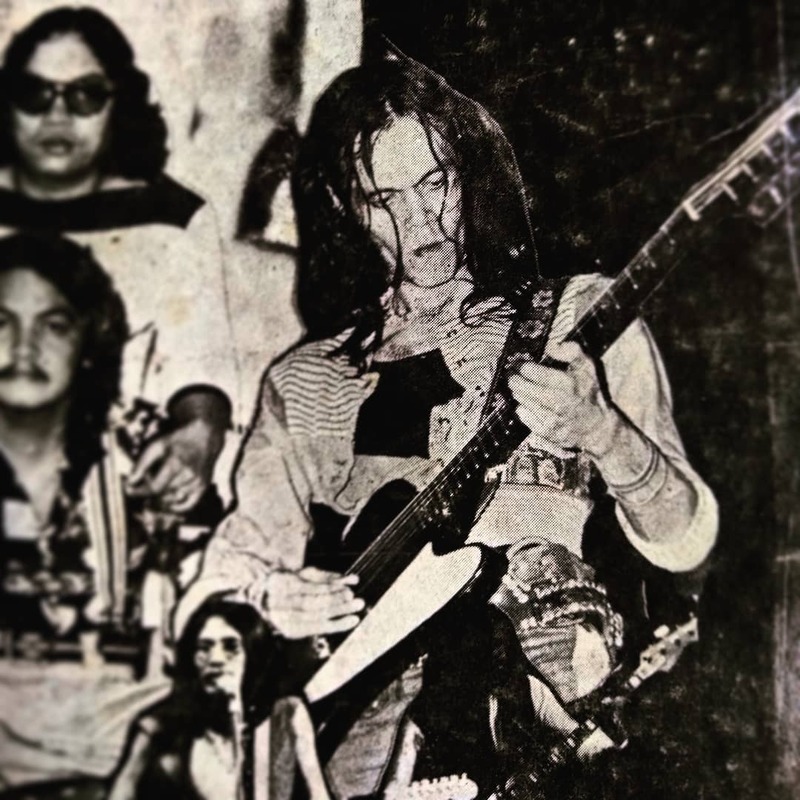 In December 1970, Smith joined the seminal Pinoy rock group Juan dela Cruz Band along with Wally Gonzales (guitar) and Mike Hanopol (bass) under Orlando P. Muñoz Management. “Juan dela Cruz” is a Filipino term for “everyman” similar to “Joe Blow” in the USA. The band had some earlier lineups, but this trio was the classic one. It became a quartet a few years later with the addition of Edmon “Bosyo” Fortuno, on drums, when Smith decided to play guitar instead. Among their first gigs was the 1970 Antipolo Rock Music Festival, an open-field concert similar to Woodstock, attended by thousands. Juan dela Cruz arguably invented the Pinoy rock genre, focusing on original songwriting in Tagalog, instead of covers of foreign hit songs in English. It made superstars of all four members. Smith composed Juan dela Cruz’s arguably most classic song “Himig Natin” backstage in a ladies’ toilet (he said the door to the men’s toilet was busted) in 1972, while waiting for his turn to play in a concert called “Himig Natin” at the Rizal Park grounds in Manila. Although “Himig Natin” and many others of the Juan dela Cruz songs have become rock anthems in the Philippines, none of the group members profited from the recordings. The rights to the whole catalog had been sold in perpetuity to Vicor Music from the very beginning of the band, a practice that might today be regarded as exploitative, but was apparently commonplace during the era. The band members were paid monthly stipends and other fees for live appearances and recording dates. Smith and the late Fortuno were lifelong friends and frequent bandmates; in fact, Smith’s other nickname was “Kalabog” from “Kalabog en Bosyo”, the long-running Larry Alcala comic strip (1947–1995) about two dimwitted detectives, one tall, the other short, like Smith and Fortuno. During a hiatus of Juan dela Cruz, Smith formed his own band, The Airwaves, circa 1976. The members were Smith (vocals/dobro/drums), Jun Lopito (guitar), Gary Perez, formerly of Sampaguita (guitar), Gil Cruz (bass) and Edmon Fortuno (drums). Smith was jailed for 19 months for alleged drug trafficking, starting in 1992. His constant jail visitor in the Quezon City Jail was Apa Ongpin, who, with Pepito Bosch and other friends, mounted a legal defense for him. He was eventually released for lack of evidence. Smith released his first solo album Idiosyncrasies on Alpha Records in 2005. The 14-track album was three-years in the making; the recording project had started in 2002. The album was released simultaneously with the Juan dela Cruz three-CD collection from rival Vicor Music. Multi-awarded journalist Howie Severino produced and directed perhaps the most complete documentary on Smith’s life. Entitled “Pepe’s Myth”, it aired on GMA Network on April 24, 2006. The raw footage consisted of several days of interviews with Smith, his friends and family, and included a poignant concert at the Quezon City Jail, organized by Severino, 12 years after Smith’s release from the facility. Smith died on January 28, 2019 at the age 71 after being rushed to Arnaiz hospital following complaints of chest pain. He died of cardiac arrest.